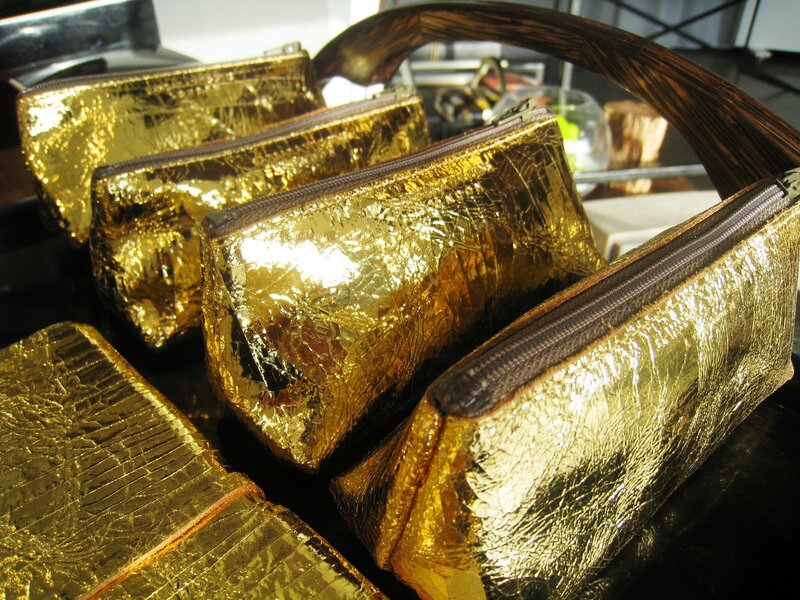 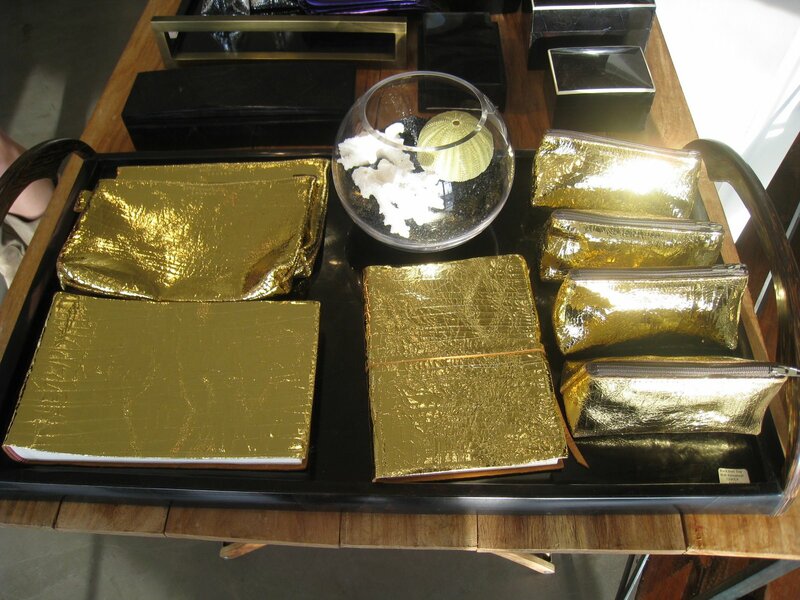 ALL THAT GLITTERS IS GOLD, BRONZE OR SILVER – PERFECT GIFTS IN METALLIC LEATHER! 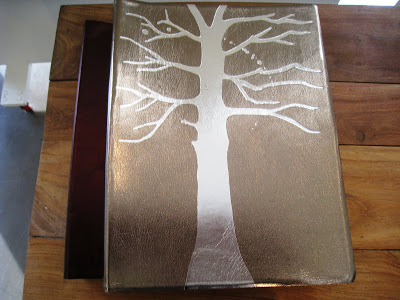 On the day before I traveled to New Orleans, I bought this photo album (above) from my friend Julie Schroeder’s (JS) store Persimmon to bring as a hostess/host gift for FF and CF. 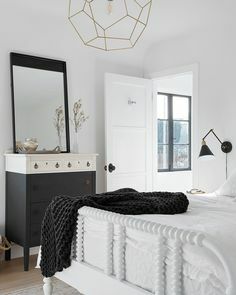 As you know from previous posts, I was staying with FF/CF in their gorgeous New Orleans home…I needed a gift for them that was simple, useful and beautiful. 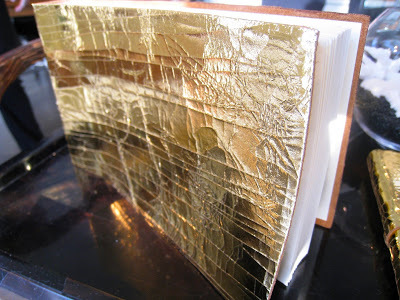 I thought that this hand made photo album by London designer Barbara Wiggins was just that. Don’t know how JS came across Barbara’s leather goods but she made the perfect choice in adding them to her store this fall. 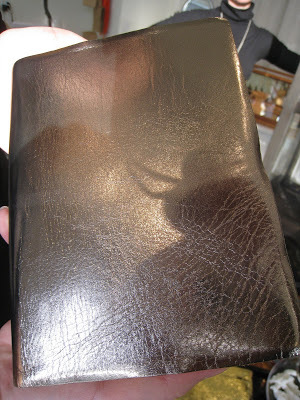 The line includes a variety of metallic leather items including photo albums, journals, diaries, purses and make up bags. 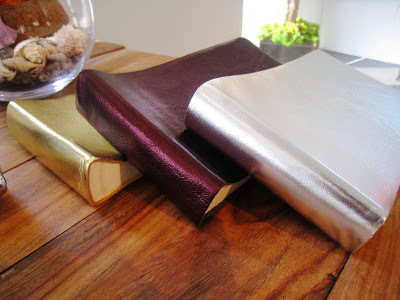 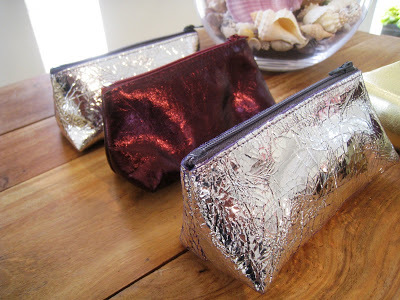 The soft to the touch leathers come in all shades of metallic gold, silver, pewter, bronze and plum. 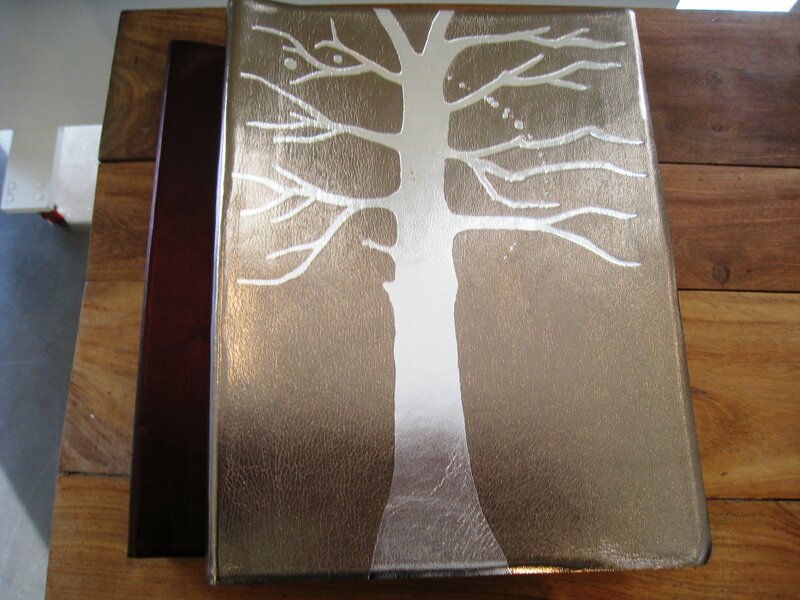 I have been eyeing the large album for a few months now…turns out it was the perfectly appropriate gift for my New Orleans hosts. Speaking of gifts…thought I would share some views of a few of the other Barbara Wiggins items now at Persimmon…perhaps food for thought for the last minute holiday shopping! 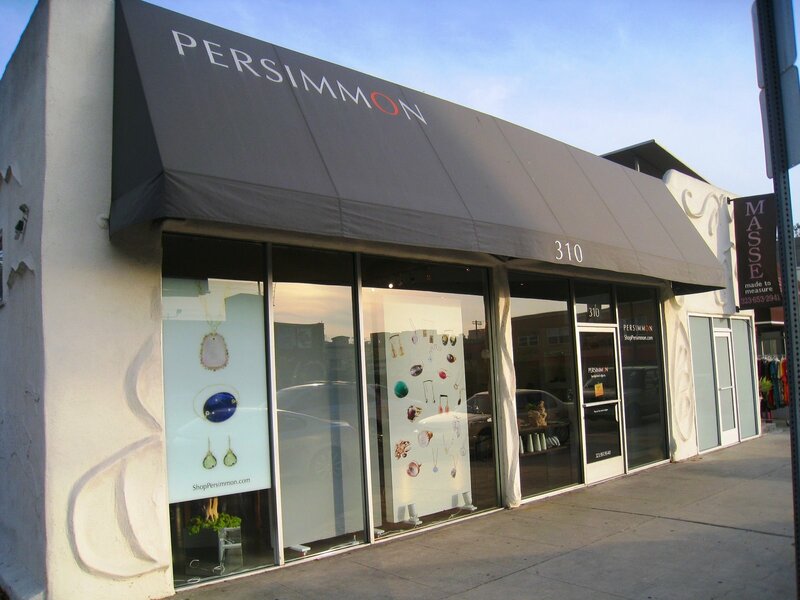 Gold journals, make up bags, small pencil make up bags and photo albums all on display and for sale at Persimmon in Los Angeles, CA.